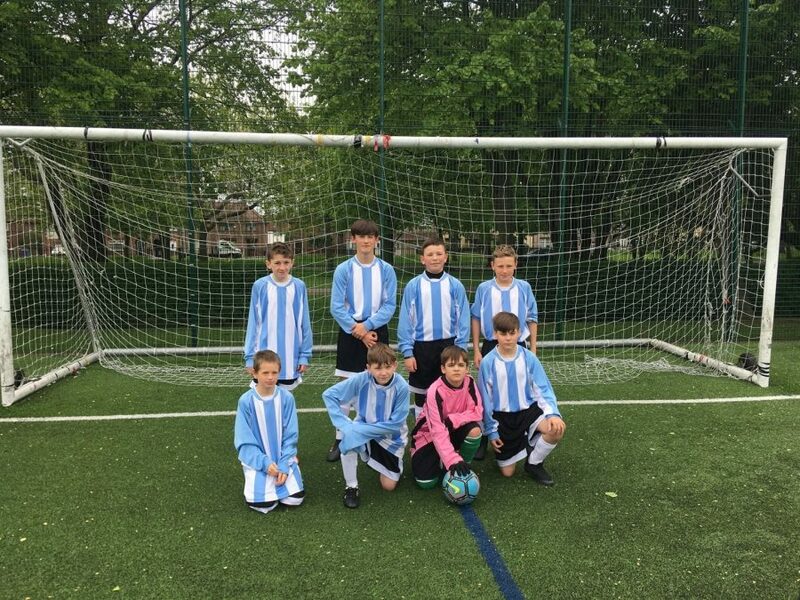 The Under 13s team put in a fantastic performance last Friday for the penultimate match of their league series – a strong 4-0 win against Newfield with goals from Worboys (1) and Heath (3) really set the scene for the rest of the day. The next match against Woolton was another easy win for Cloughwood – the final score 5-0 with goals from Worboys (2), Heath (2) and Griffiths (1). In a similar vein they smashed Clifford with another 5-0 win, goals from Heath (2), Duffy (1) and Horton (1). The final match saw the only goal conceded by Cloughwood, but they still retained their top spot winning 4-1, goals from Heath (3) and Worboys (1). Mr Thornhill and Mr Hughes are over the moon with how well the boys have played and worked together this season. The last match takes place on Friday 8th June, so no pressure boys, but we know you can do it!